The Department of Health and Human Services (HHS) released recently a proposed rule to change Medicare Part D’s protected classes drug coverage. 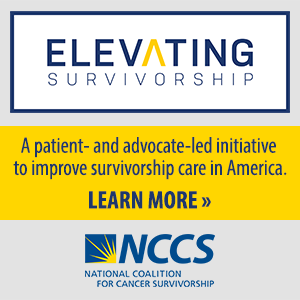 In response, NCCS joined with other patient and provider groups of the Cancer Leadership Council (CLC) to comment on how these proposed changes could impact patients. The proposed rule would give Medicare plans the option to limit coverage of drugs in six categories, including cancer drugs. In the comment letter, the groups urge HHS to reconsider these changes as they would create barriers to treatments that cancer patients need. One major reservation articulated in the letter concerned the impact of the broader use of prior authorization and step therapy for drugs in protected classes. Access to only one drug in a specific drug class would undermine the ability to receive appropriate and recommended treatment. Read the full CLC letter to HHS below. The undersigned organizations represent cancer patients and health care professionals who depend on a cancer care system that ensures access to high-quality and affordable care. We support the goals of addressing the costs of care and reducing out-of-pocket costs for Medicare beneficiaries, but the proposal related to Medicare Advantage and Part D drug pricing would create barriers to treatments that cancer patients need. We urge the Department of Health and Human Services (HHS) and Centers for Medicare & Medicaid Services (CMS) to reconsider key elements of the Part D plan. The cost of cancer care is of critical importance to patients and providers, as financial toxicity is experienced by more and more patients. As patients struggle to pay for their cancer care, they are forced to make difficult decisions, including changing treatment choices, delaying payment of medical or other bills, seeking financial assistance from friends and families, and confronting bankruptcy. Financial toxicity also triggers stress in cancer patients that may have an impact on their treatment outcomes. As advocates for people with cancer, we agree that the cost of care and patient cost-sharing must be addressed. However, core elements of the Part D proposal, including changes in the protected classes policy, may serve to undermine access to necessary treatments. In the preamble to the proposed rule, CMS offers a history of the protected classes policy. The agency indicates that the policy helped to ensure the transition of millions of Medicare-Medicaid dually eligible enrollees from Medicaid drug coverage to Medicare Part D. The policy also, according to the agency, protected against discriminatory plan design. However, the agency asserts that the circumstances that justified the protected classes policy have changed in the 12 years of operation of Part D. The agency asserts that aggressive management of the protected classes policy is now in order. We offer some additions and modifications to the history of the protected classes policy that has been offered by CMS. Cancer patients and health care providers have been active in the discussion of the protected classes policy since the enactment of Part D. At the time of initial implementation of Part D, we argued for an open formulary for the drugs used by cancer patients, and we supported the protected classes policy providing coverage of “all or substantially all” antineoplastics as a responsible compromise to an open formulary. At the time of implementation of Medicare Part D – at a time when targeted cancer therapies and personalized therapies were a fairly limited portion of treatment options – we argued that access to all or substantially all antineoplastics was necessary to ensure patient access to drugs. As we noted 12 years ago, a cancer patient typically requires combination chemotherapy and may undergo modifications of chemotherapy therapy over the course of treatment. Moreover, for many cancer patients, treatment is long-term and may require refinements over the course of treatment. Finally, cancer patients might have a significant response to one drug in a class while not responding to another in the same class. For all of the reasons above, we argued at the time of Part D implementation that access to all or substantially all antineoplastics should be a standard in Part D.
The agency argues that current situation is different from that of 12 years ago, at the time of Part D implementation. We agree, but we think that the changes in cancer treatment mean that protection of access to antineoplastics is even more important now than 12 years ago. The proposed rule would give Medicare Part D drug plan sponsors aggressive tools for the management of the protected classes. The proposal would: 1) permit broader use of prior authorization and step therapy for drugs in the protected classes, 2) permit Part D sponsors to exclude a new formulation of a drug or biological product from a formulary, and 3) permit plan sponsors to exclude a drug from a formulary if the price of the drug exceeded CPI-U over a specified look-back period. We are particularly concerned about the impact of broader use of prior authorization and step therapy for drugs in protected classes. As we have consistently maintained, people with cancer require access to all drugs in the antineoplastic class because of the demands of combination therapy, treatment over a long period of time, and treatment in the case of recurrence. Access to only one drug in a specific drug class would undermine the ability to receive appropriate and recommended treatment. The significant and growing reliance on therapies that are targeted according to a patient’s molecular profile also demands access to all or substantially all antineoplastics. A patient who needs a specific drug according to his or her molecular profile will find little benefit in access to a different targeted therapy. This sort of barrier to drugs undermines the effort to more precisely target care. Part D drug benefit design should support targeted or even personalized treatment rather than erecting barriers to such treatment. Step therapy and prior authorization, if embraced by plan sponsors for antineoplastics, will in the best circumstance cause delays in access to appropriate therapies and may absolutely block cancer patients from the treatments they need. We are not reassured by policies that CMS has identified as protecting patient access if prior authorization and step therapy are utilized. We do not believe that the Medicare appeals and exceptions process is adequately responsive to patients with urgent treatment needs. This process can be burdensome and slow for patients and their providers who are attempting to obtain drugs that are not on formulary. Patients who need exceptions to step therapy may find the Medicare process to be unresponsive to their needs. 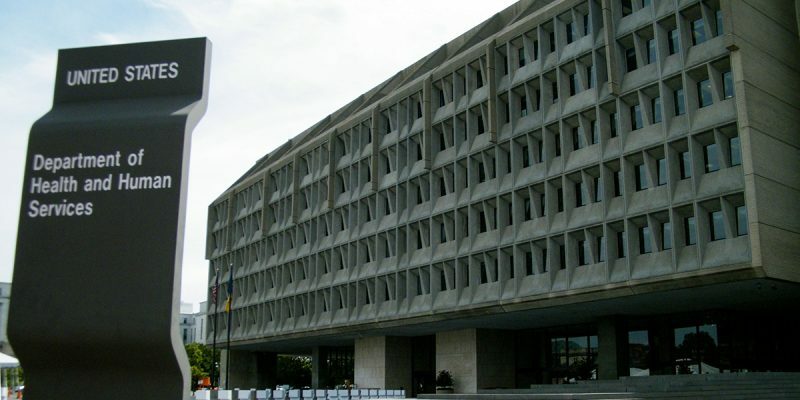 CMS has suggested that patient protections are essentially built into the Part D bidding process through the formulary review that the agency undertakes with Part D plan sponsors. Of critical importance is the standard that CMS utilizes in reviewing Part D formularies. Does the agency rely on National Comprehensive Cancer Network, American Society of Clinical Oncology, or other guidelines for evaluating the adequacy of formularies for antineoplastics? We would only be reassured about the usefulness of formulary review if we understood the process and the guidelines referenced. Although reliance on strong guidelines in the formulary review process might lead to improvements in formularies, we do not believe that formulary review will yield protections comparable to the protected classes policy. While we understand the interest in restraining drug price increases and as a result the interest in permitting Part D sponsors to exclude drugs with price increases that exceed a certain amount, we are concerned that the result will be that patients are denied access to certain drugs. This new power for Part D drug plans may not in fact encourage drug price negotiation between plans and drug companies. Instead, the impact may well be the exclusion of these drugs from a formulary, with no options for patients if this is the recommended treatment for them. CMS has included in this proposed rule the option for Medicare Advantage plans to use step therapy for Part B drugs. This option, granted to Medicare Advantage plans for 2019 by way of a communication to the plans, poses potential obstacles to treatment for cancer patients. At the time CMS initially outlined this option for Medicare Advantage plan sponsors, we outlined our objections. There are no changes to the proposal that make it more acceptable for Medicare Advantage enrollees with cancer. We support the efforts to encourage the use of Real Time Benefit Tools (RTBT) in Part D. The agency is proposing that each Part D plan adopt a RTBT, which would be used by the provider and patient to address drug costs, manage out-of-pocket costs, and address medication adherence matters “in real time.” If appropriate tools can be developed and put in practice, they can improve the discussions between patients and providers about cost of drugs and patient cost-sharing. These are discussions that patients and providers want to have, and we are pleased that the agency is supporting efforts to improve the information available to support these discussions. The effort to restrict Part D plan sponsors from prohibiting a pharmacy from disclosing a cash price to an enrollee is a commonsense reform that we support. The agency proposal is consistent with recent legislative action on this issue. The agency proposes to amend the standards for the Part D Explanation of Benefits (EOB) to require the inclusion of drug pricing data and lower cost therapeutic alternatives. Although we think that providing such information is in general a positive development, we have reservations about the potential impact of including this information in the EOB. The EOB documents are generally not useful, according to reports from Medicare beneficiaries. If updating the EOBs to include pricing data and drug alternative data makes them more useful documents, some effort may be necessary to direct beneficiaries’ attention to the documents and encourage their use. Even if such steps are taken, we remain skeptical of the importance of EOB changes to improving beneficiaries’ ability to manage their drug expenditures. We recommend that some attention be paid to how the updated EOBs and RTBT relate and how they could be used in a synergistic manner by beneficiaries. We appreciate the opportunity to comment on proposed changes to Medicare Part D drug plans and Medicare Advantage. We urge CMS to abandon its plans to change the protected classes policy. Access to antineoplastics, one of the protected classes of drugs, is critical to quality care for people with cancer. We urge the continuation of the protections for cancer patients who need drug therapy through Medicare Part D.